Get a night time routine sorted ASAP. If you need to know why, check out my post here. But generally the routine should involve sleep inducing, predictable activities in the lead up to bed (shower/bath, brush teeth, PJs on, story, light out). Stop screen time a couple of hours before bed time. If your kiddo is a bit anxious, make a time earlier in the day to talk about their worries, not right as they’re getting into bed – or at any point during the home-stretch to bed! If your child starts to raise something at this point, you can thank them for telling you and explain that you’ll chat to them about it in the morning. Calm down the house prior to bed. You can dim the lights, put on calming music and generally be calm yourself. Set clear behavioural expectations that can be reinforced in the morning. For instance, for children that procrastinate about going to sleep, set an expectation that if they go straight to sleep then they can have TV or a special breakfast etc. in the morning. And conversely, if they play up at night time, there is no TV (or whichever reward you’ve offered) the next day. Choose motivators that work for you/your family. And ensure you follow through the next day. Remember, this is not bribery – bribery is offering a reward for a behaviour to STOP once it has already started, and is never going to end in behaviour change. I’d love to know if you’ve tried any of these tips, and how they worked for you. Often it’s trial and error with behaviour change! When parents come to see me in the clinic about sleeping issues for their children, my first question is always “what’s your night time routine?” When this is answered with ambiguity and vagueness, then I know what our first step of intervention is! Why is a bed time routine so important, I hear you ask? Well, let me tell you! Firstly, we know that predictability, routine and functional rituals can decrease anxiety. This is because it is something familiar for us to hang our hat on, so to speak. When our kids know that the same thing happens each night before bed, they don’t have to worry about what’s coming up next, particularly at a time when we are likely to see more challenging behaviours thanks to tiredness. Having the predictable routine also decreases the chances of ‘pushing the boundary’ type behaviours, because your kids know that there is a set routine and there is no use trying to disrupt it, because mum and dad are consistent. The night time routine is also a really beautiful time to connect with your child. While I dont recommend opening up metaphorical “cans of worms” at this time, and disecting your child’s worries from the day (this should be done earlier in the day, not right before bed), it’s a great time to tell your child how much you love them/how proud you are/ask them what was amazing about their day and perhaps discuss something to look forward to tomorrow. Reading a story together is a way to further solidify your routine, and check out some of my book reviews for some ideas about great books for bed time. Having a regular night time routine allows your child an opportunity to learn how to self settle and quieten their mind after a busy day. By reading a calming story and spending time with them in the dim light of their bedroom, using quiet voices and generally being calm, we show them how to slow down in preparation for sleep. This way they can drift off to sleep independently and (fingers crossed!) stay that way until morning! Stay tuned for my top tips for a sucessful bed time routine so you can become bed time routine MASTERS! Are you searching for stories to read to your preschooler – or primary-schooler at bedtime? For a few years now, we’ve been reading stories from the “Nightlights” collection to our now 5-year old daughter. The first book in the series is a collection of stories designed to “encourage calm, confidence and creativity” according to the authors. In my opinion, the stories certainly fulfill this claim, but also provide an opportunity for you to introduce your child to visualisation. Visualisation, or guided imagery, is a proactive strategy that encourages a child to be still and listen and imagine the scenes and stories you are reading aloud to them. Visualisation is a great way for your child to adopt appropriate relaxation and self-regulation strategies. We know that children who are able to self-regulate and are armed with proactive strategies for problem solving are likely to be more resilient. I like the Nightlights book because it takes a bit of the hard work out of the equation for us parents, so we can just set ourselves up with our kiddo and read! Sometimes I do casually omit sections or skip over some stories which I think might be problematic for my kiddo. For instance, I may not want to be reading stories with themes of ‘extended absences’ and ‘saying goodbye’ at bedtime if we’ve just experienced our own situation along those lines. While it is great to talk about these things, bedtime is not ideal when it is time to quieten the mind. Otherwise though, I really like this book and have consistently used it for my daughter so much so that it is essentially embedded in our night time routine! So, if you’re looking for some bedtime stories that might serve the double purpose of connection time at bedtime, as well as providing your kiddo a chance to learn some self-regulation skills, try the Nightlights range! I’d love to hear of some other books so please comment with your recommendations! I’m always up for extending the library! Reduce demands! This means, pick your battles. Is now really the time to be targeting bed-making skills when it’s never been addressed before? Right now, we want to get through the day and reserve some energy for tomorrow. In my house, my little preppie is coming home from school and playing until dinner is served up under a silver cloche by the butler. Just joking. Well, kind of. It’s served up on melamine by me, and sometimes I feel like the butler. Or the maid. But you get the point, don’t introduce a chore reward chart now if it’s not something you’ve done consistently in the past. It’s too much a little to handle. UNDER-schedule. Give extracurricular activities a miss for term 1 at least, if you can. Or minimise attendance, or reduce the regular amount of activities. We want our kiddos to have down time. Develop a consistent routine – in our house its get up, have breakfast, brush teeth, get dressed, hair done – then the TV can go on if it must. Keeping it consistent every day (including non school days) makes it more predictable for kids and provides some security. Arrive on time. Full disclosure here – I got my daughter to school a couple of minutes late on day 3! Epic fail! Luckily she coped okay, but it could have gone either way. We know it is much less disruptive for our littlies when we get them to school on time, so they have an opportunity to settle in before the bell rings. This way they start their day more relaxed and with a brain that is consequently more receptive to learning. Lets see how we go for week two! Good luck guys! Anyone who knows me will be able to preempt my first tip which is to get yourself a visual schedule! Use several if needed i.e. one for the morning routine and then another separate one to show the reward, finishing with the reward, leaving the house, and walking to the school, and entering the classroom, and finishing off with another reward. Love a visual schedule. Use a time timer to indicate the passing of time. Make a list of potential rewards you can use for successful transitions. Get creative. Sometimes earning a day off or afternoon off (gasp!) will be motivating. Otherwise stickers, screen time, being a special helper at school, choosing where he sits, having time in the library or receiving a tangible reward (toy, snack etc.) will be motivating. Remember rewards need to be changed over time as the novelty wears off. Consider which skills your child is lacking in order to be able to successfully transition. Is it that he or she isn’t sure what to expect when they walk in the classroom? Is it overstimulating at school and they don’t know how to manage that? Do they struggle with a particular aspect of school and have now generalised that worry so that school as a whole represents that unease? Do they have big feelings and not know how to regulate them? When you sit and work out all the millions of skills needed for a successful transition from home to school, you can be guided by that list in terms of what you need to teach your littlie. A psychologist, speech pathologist and/or occupational therapist can usually help with this. Be clear and consistent about the expectations i.e. a cool and calm transition = reward (which may be tangible or praise, whatever is motivating for your child). Explain what is and is not a cool and calm transition. Prompt your child frequently to remind them in the moment of what they need to do in order to be successful. They will need a lot of hand-holding initially to be able to earn that reward. The first few rewards will be the most important and pave the way for future success. Try to stay calm yourself. Easier said than done, but kids pick up on our emotions. Think about what your face looks like, what does your voice tone and volume say? How many times are you repeating an instruction? What are you actually saying to your child? The goal here, is to be calm, kind, supportive, understanding and firm (i.e. following through with noncompliance and sticking to your expectations as much as possible). Do you talk about the problem in front of your child? If so, stop. Talk to your child about your expectations and the rewards but don’t complain about it or negatively talk about it to others in front of him or her. Celebrate the (sometimes very) small successes. If there’s a slight improvement in behaviour, acknowledge it. Give yourself time in the morning to be able to sit with the behaviour and follow through with non-compliance. It might mean getting a babysitter in to help with the other children so that you can dedicate a few mornings to your child. Be kind to yourself and your child. You’re both trying really hard and will get there eventually. Always ask your health professionals for help if it’s not working out for you. We’d love to hear your thoughts about this topic! And email through any other topics you’d like us to address. Amanda Abel is a paediatric psychologist and founder of Northern Centre for Child Development. Follow their lead – just because at the museum you’re interested in the dinosaurs, don’t expect your child to be. If the purpose of the outing is to have quality time together, try forgoing your own agenda and focusing on what captures your child’s interest. You’ll be less frustrated and probably get less challenging behaviours from your littlie because they’re engaged. Don’t multitask – when you’ve dedicated time to engage with your child, forget everything else. Set a timer. Be with your child. Quality out-trumps quantity here – 5 minutes of one-on-one time together is better than an hour of divided attention. Give yourself permission to let other things go and focus on your child. Listen to them -Throughout the day, let your child speak and let them finish what they have to say. Don’t interrupt or predict what they are going to say. They need to know they are being heard by their most important people. Have a go! We’d love to hear how you connect with your kiddos. 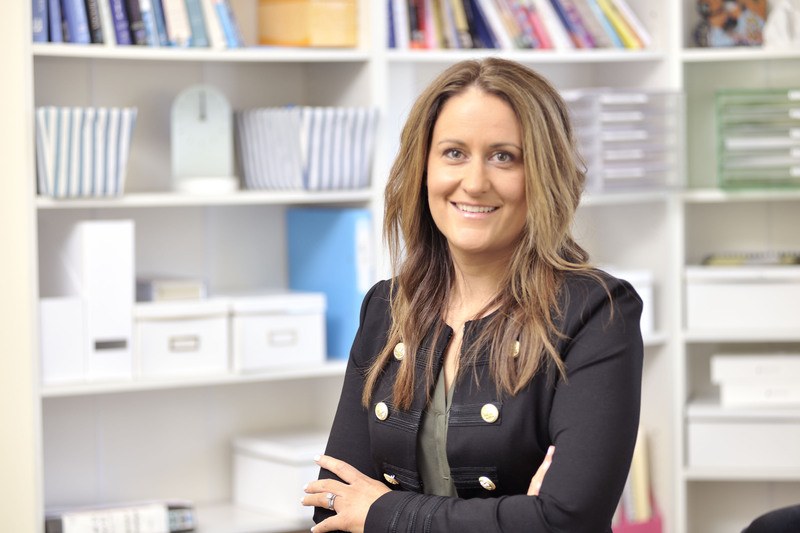 Amanda Abel is a paediatric psychologist and founder of Northern Centre for Child Development – a paediatric clinic in Preston with a team of psychologists, a paediatrician, occupational therapist and speech pathologist. Check out the website for more info. My role as a peadiatric psychologist is really varied but one consistent theme I hear from parents is that trying to manage the various supports, therapies, interventions and medical treatments is akin to high level project management. With the most important client – their child! Most children I work with, particularly those with a diagnosis of ASD, will also have a speech pathologist, occupational therapist, paediatrician, GP, and some form of educator in their lives. And then for the kiddos engaged in a formal early intervention program like Applied Behaviour Analysis, you can add a few more therapists and an ABA program supervisor to that list. That’s without considering music therapists, art therapists, gym instructors or swimming teachers! Each and every one of these individuals involved in the child’s life has a very important message and part to play in their outcomes. The only trouble is that it gets diluted and lost along the way if a coherent approach isn’t used. And dilution equals time and money down the drain. ‘What is a coherent approach?’ I hear you ask. That’s when all the professionals involved in the child’s support team are on the same page. Talking the same lingo. Respectful and understanding of each others’ involvement. If the speech therapist is using a makaton sign to aide communication but the psychologist is using a visual prompt/picture, we run the risk of a confused littlie, and progress slows down. If only the psychologist knew that the speechie was using the sign and not the picture…I could go on and on with examples but I think you get the point! We can’t put the pressure on parents to communicate all of this to each person involved. This is why at Northern Centre for Child Development we have just launched our new service TeamConnect which was developed to enhance the intervention outcomes for children with additional needs by optimising communication between the family and the professionals involved. Each term we meet either in person or via virtual means (yep, totally tech savvy!) to get an update about the child’s progress, set clear goals, and confirm the strategies and language for use to enhance the intervention outcomes. Normally the factor that puts everyone off something like this is the organisation involved! Finding a time for 4+ people to meet when most of us work part time can be hugely challenging. Luckily as a part of the package, we take care of all of the organisation, plus provide a summary of the meeting to the relevant people. Contact us for more info about TeamConnect -we’d love to make it work for you! Streamlined ASD Assessments now at NCCD! Some people might find my passion for conducting Autism Spectrum Disorder (ASD) assessments a bit unusual or odd. But in all honesty, it really is a part of my job that I adore. It’s a very raw experience for families and while it’s one of high emotion at times, I’m aware of my privilege in working with families at this ‘crossroads’ in their life. I also get to utilise the skills I’ve honed over a good 16 years of working closely with children with ASD! This is why I’m delighted that at the Northern Centre for Child Development, we can now offer the entire ASD assessment process under the one roof. This not only makes it a streamlined, less stressful experience for families (with less of the old regurgitation of their story! ), it also makes our job as the professionals involved a lot easier. Not to mention faster! Dr Daniel Golshevsky, paediatrician, has joined our team to offer general paediatrics as well as the initial and final appointments in the ASD assessment process. 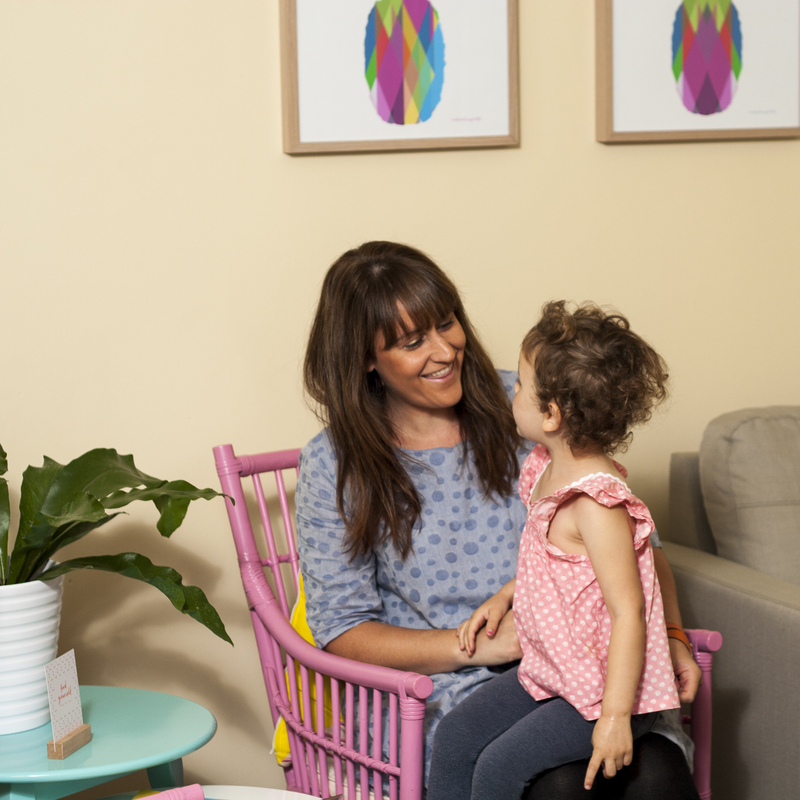 This means that families can get straight in to see Dr Golshevsky, obtain a HCWA referral for Medicare rebates, complete the required psychological and speech pathology assessments within the month at the same clinic, and then have the potential diagnosis formalised when they next see Dr Golshevsky. We pride ourselves on our high level of experience and competency in our ‘gold standard’ ASD assessment process, and included in the fees are a feedback session and a one-month check-in with the parents to check up on how they’re processing the diagnosis. Dr Daniel Golshevsky specialises in children’s acute and chronic medical conditions from birth to 18 years, with particular interests in neuro-developmental problems, autism spectrum disorder, newborns & unsettled babies, toileting problems, as well as sleep & behaviour issues. Daniel works as part of the multi-disciplinary autism assessment team at Monash Children’s Hospital. Practicing holistic care with a family-centred approach, he believes that every child needs a management plan that is tailored to them, within their psycho-social environment. Daniel also has a strong interest in the media and its positive and negative effects on children’s health, recently publishing on the effects of screen time on sleep and weight in children. Known in the media as Dr Golly, he appears regularly on Channel Seven’s Good Friday Appeal as well as other television and print features. 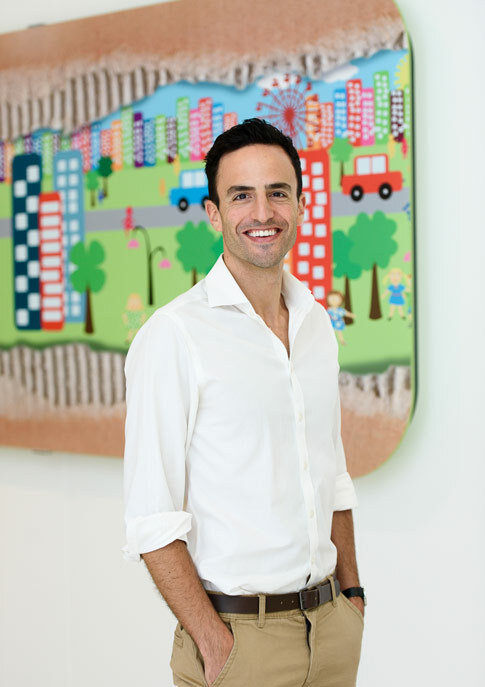 Daniel is an experienced General Paediatrician, who trained at The University of Melbourne and The Royal Children’s Hospital (RCH). Daniel has worked at RCH since 2009 and has three young children of his own. He is the former Chief Resident Medical Officer of RCH and is involved in the creation and maintenance of the RCH Clinical Practice Guidelines, an online paediatric resource used internationally. He is also a regular expert reviewer for the Raising Children Network website. Ditch tradition if it doesn’t work for your family. If anxieties are triggered by decorations around the house, the thought of a strange man (Santa!) heading down the chimney, the sound of Christmas crackers, or the smell of a real tree – consider adapting your style. 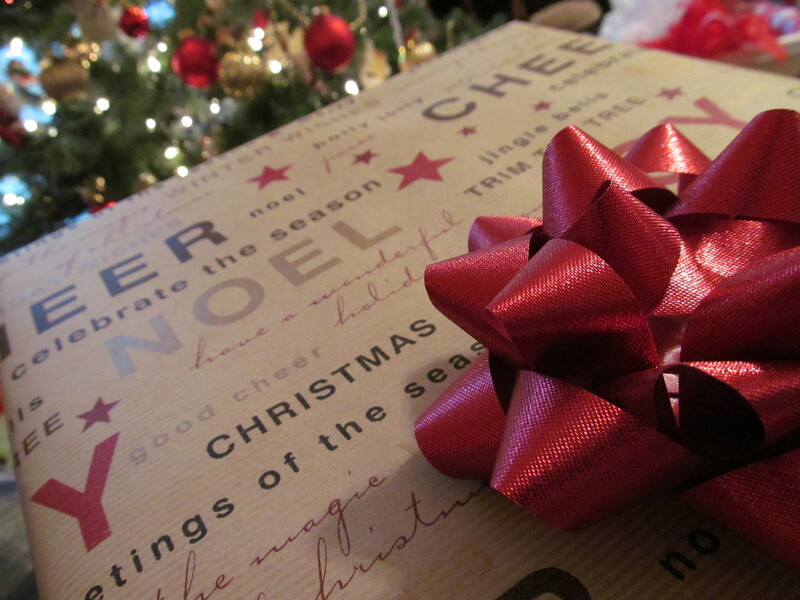 If your child struggles with the anticipation or unknown associated with wrapped gifts, don’t wrap them. You could even have toys already set up with batteries etc., to avoid extra anxiety and waiting on Christmas morning. Consider how sleep patterns can be impacted with social events. Say ‘no’ if it’s getting too much for your children (which of course impacts you as parents because tired, grumpy kiddos equals grumpy parents!). Be firm with your boundaries and accept that some family members or friends will not understand how much a late night can negatively impact your family functioning. Give yourself permission to do things your way. If this means only staying for one hour at Christmas lunch at grandmas, then so be it. One ‘good’ hour is better than a day that turns into a downward spiral of over-stimulation, tiredness and way too many sugary treats! Decreased routine means you need to increase structure. This might look like visual schedules, reminders about rules, reward charts and stick to the rituals that comfort your child (i.e. keep your nighttime routine even if you’re sleeping over at auntie’s house; keep your mealtimes regular etc). Be prepared when going out and about as things tend to take longer at this time of year – carry some sensory toys or download some apps on your phone to keep the kids entertained. Planning to prevent boredom will decrease challenging behaviours. Plan for rest. Rest before you go out for an overstimulating event and plan for some winding down time when you get home. Don’t expect your child to be able to go straight from driving around looking at Christmas lights to coming home and tucking himself into bed. Please take some time over the next week or so to consider what is ‘painful’ for your family over Christmas. Isolate these areas (maybe its the wrapped presents, or lack of presents for non-Christmas celebrators, bright lights on the tree, stressed out parents, increased social demands…) and decide how you’re going to manage them. Think outside the square and do what works for your family, not what appears to work for everyone else. Amanda Abel is a paediatric psychologist with over 16 years’ experience working with children with Autism Spectrum Disorders (ASD) and their families. She founded the Northern Centre for Child Development in Preston (Melbourne) and has recruited an exceptional multi-disciplinary team to help improve the quality of life for children with ASD. Over the past 15 or so years I’ve worked with you in various forms. Some of you lap up what I have to say, some of you use my ears for a debrief, and some of you probably get angry with me from time to time because I know as a psychologist what I have to say isn’t always welcomed (don’t worry, I don’t take offense!). I actually can’t believe how you manage to hold everything together. You turn up for multiple appointments with various professionals each week, you fork out huge quantities of cash, you avoid certain social situations at times, spend countless hours in lines at medicare or on the phone to government departments, you show unconditional love and advocacy for these little beings who may not always show it but will be eternally grateful for your sacrifices. You probably flit between the successes of your child’s development and the gut-wrenching grief of their diagnosis encompassing the unknown for the future and the everyday challenges he or she faces. I’ve said it before and I’ll say it again, I’m so privileged to be involved in your life as one of the professionals in your tribe. I get to see the beautiful connections between you and your kids every day, I get to see the awesomeness that your child has to offer the world today and in the future. The job of a mum or dad is always a selfless task, but ASD adds another dimension. Did you know that the overall level of family well-being in families of kids with ASD is lower than in other families? It probably won’t come as a surprise to hear that rates of divorce and mental illness are higher in ASD families too. But did you know that the stress and lower levels of well-being in the family can actually reduce the positive effects of therapeutic interventions? So all that money, time and effort could be diluted by the negative impact of parental stress? Awesome! Just what you all want to hear. Add some more pressure Amanda! The good news is that research has shown that brief and targeted interventions to help increase your confidence as a parent in terms of behaviour management, decision making around intervention choices and improving your own well-being can actually improve the early intervention outcomes! This is why I’ve organised the ASD Parent Retreat at Balgownie Estate Vineyard where we address ways to increase your parenting confidence in the above areas as well as how to look after yourself and just have a really fun day! I want you to know how important you are as a person and to invest in your own health and well-being because it not only improves the quality of your own life, but the outcomes of your child’s therapeutic interventions. So….to borrow a famed phrase from Molly Meldrum, ‘do yourself a favour’! and get yourself an ‘early bird’ ($190) ticket to the ASD Parent Retreat where you will get ALL the incredible opportunities on offer. To book, email us with your contact details, number of tickets and payment method: admin@centreforchilddevelopment.com or call us 9079 8043. Keep up the amazing work guys and I hope I see you at the retreat.